2. 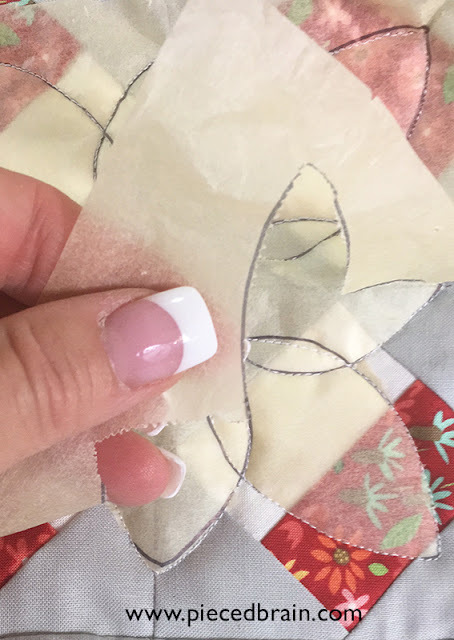 Place a piece of Golden Threads paper over the design, making sure it extends at least 1" beyond the design all around, to allow you to pin paper onto quilt far away from the outline that the presser foot won't touch it. 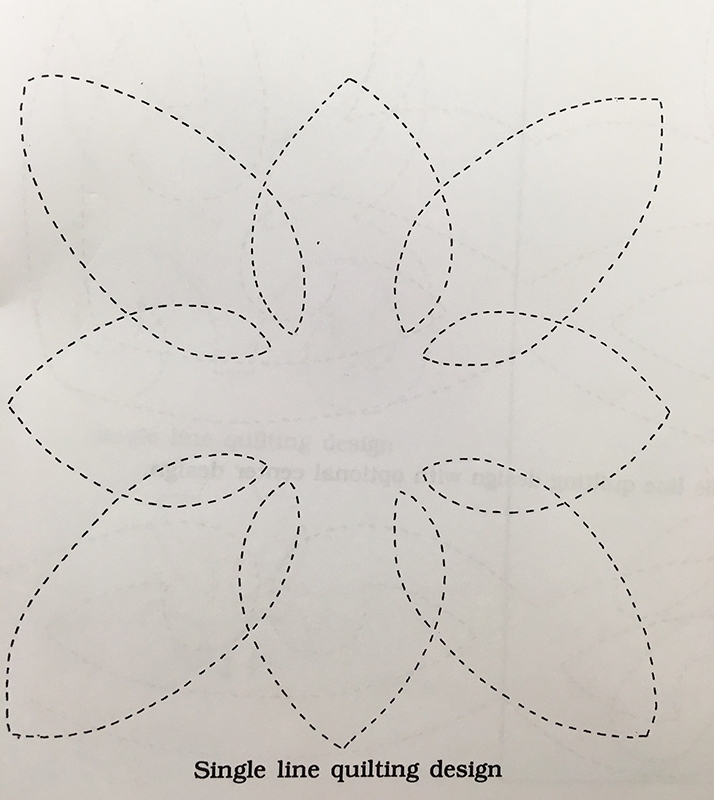 Trace it using a black Sharpie. 4. 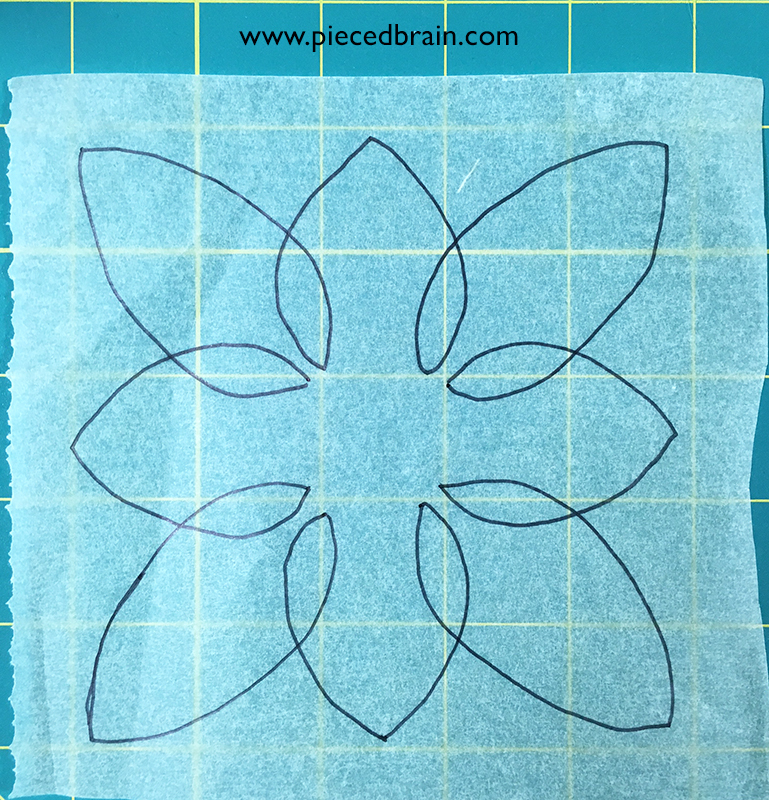 Place template over quilt block, pin it, and freemotion quilt over it. 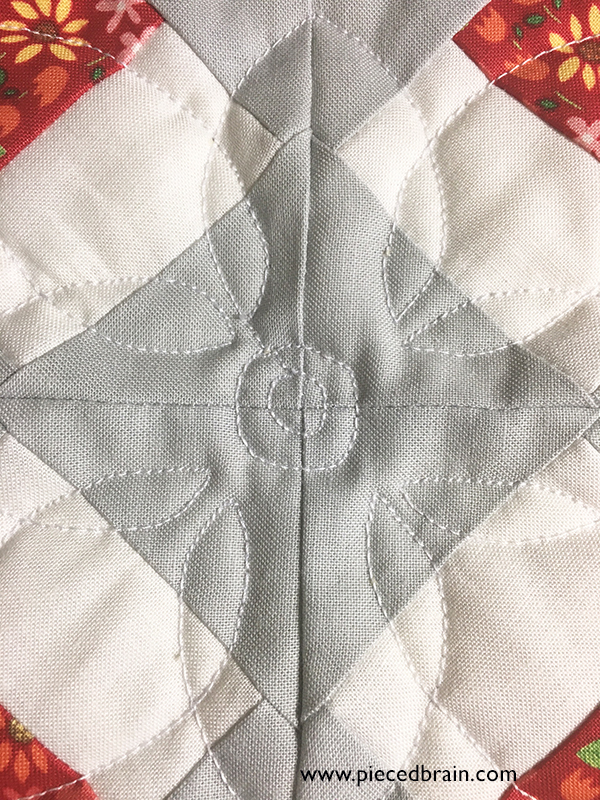 I like to decrease the length of the stitches from 2.4 to 2.0 on my Bernina for FMQ. Also, I reduce the speed to half, just in case my hands or my foot decide to run faster than they should. It helps keep stitch length consistent. 5. After quilting, rip paper away from stitches (I do it fast but carefully so only paper comes off, not stitches!). 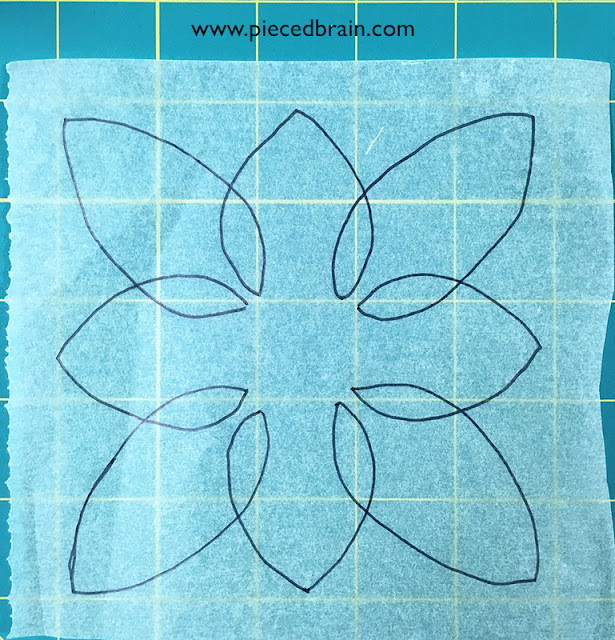 If any paper is left under a stitch you will see it easily because of the black Sharpie you used to trace the design. 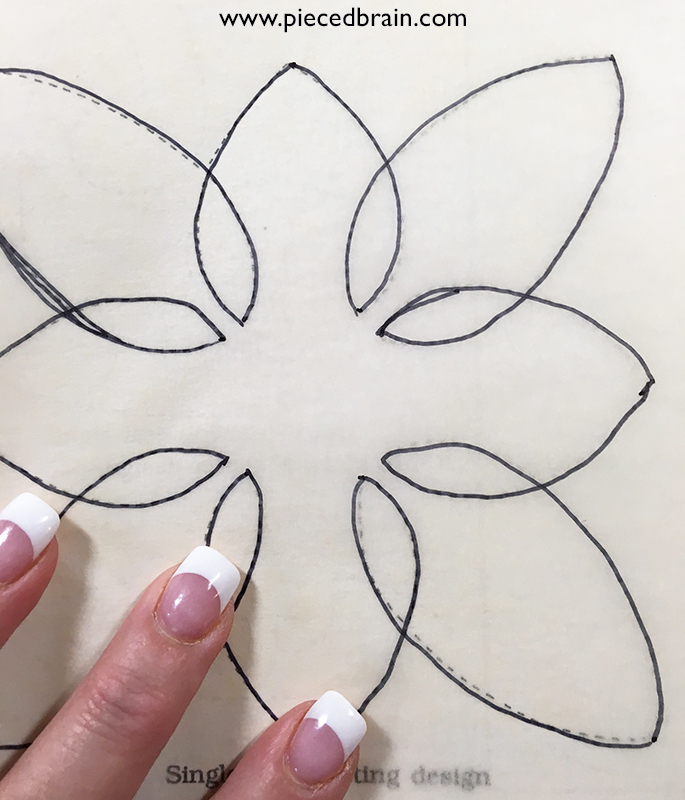 Using tweezers, pull the tiny piece of paper out of the quilt. (For my favorite time to remove the paper, check out @piecedbrain on Instagram today...). That is it. 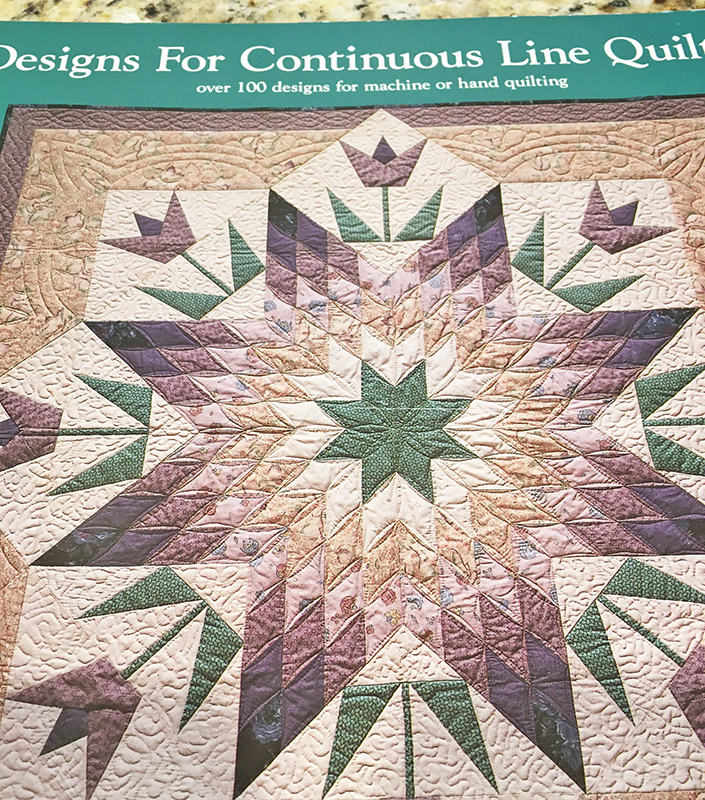 I suggest you do all the quilting in one sitting, or on the same day. 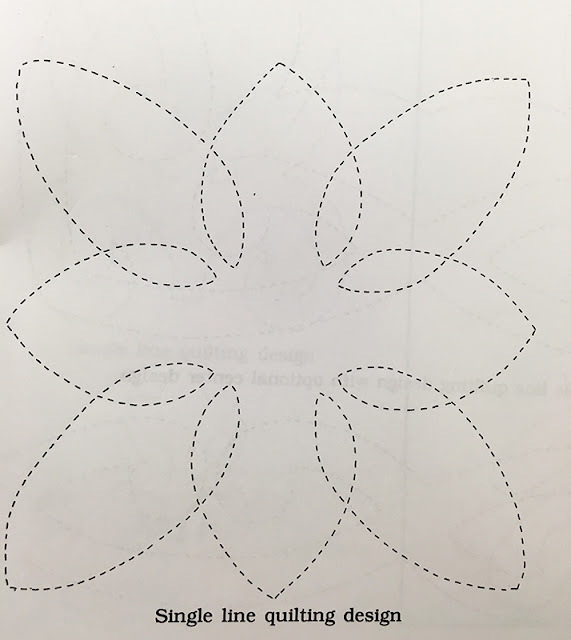 For this project I did not. So, a week or so later when I returned to it, I forgot that I had added the circle on the middle of the flower and proceeded to quilt remaining 30 blocks without the center. You know what I will be doing as soon as I finish writing this post, right? Go ahead and give it a try. You will be surprised with the results! Thanks for sharing this, Dense. I have not heard of Golden Threads paper until now.